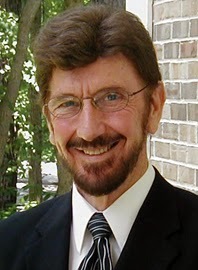 Joe H. Slate is a licensed psychologist and emeritus professor of psychology at Athens State University. I would accordingly think twice about getting a psychology degree from Athens. Dr. Slate’s research interests include health and fitness, rejuvenation, pain management, … as well as reincarnation, astral projection, and the human aura. The “research” into the latter has partially been funded by the Parapsychology Foundation of New York, partially by private sources, and has apparently led him to found the Parapsychology Research Institute and Foundation (PRIF). He has also written several books, including Beyond Reincarnation; Psychic Vampires (you can read an interview with self-proclaimed psychic vampire Linda Rabinowitz here; she really enjoyed the Twilight movies); Aura Energy for Health, Healing & Balance; and Clairvoyance (http://www.skepdic.com/clairvoy.html) for Psychic Empowerment (“The Art & Science of ‘Clear Seeing’ Past the Illusions of Space & Time & Self-Deception”, and when you read that description literally, you’ll probably see why Slate views self-deception as an illusion). There is a more complete list here (many titles seem to be coauthored with one Carl Llewellyn Weschcke). The contents of the books appear to be rather … repetitive, but I suppose that’s the best recipe for maximizing revenue. In general, Slate seems to be into absolutely any and every branch of New Age mythology there is, and is about as attuned to reality in this field as Texe Marrs is in his. Diagnosis: Open your mind so that your brain can fall out, take a journey on the astral plane, and/or decide that you need to pay Dr. Slate to help you empower your psychological evolution. Slate might, in fact, be under the impression that he is, indeed, helping people. He isn’t. In your description of Joe H. Slates research you "mistakenly" left out that his research was also partially funded by the United States Army.